If you’re reading this, it’s because you want to grow Dahlias right? Good news, because they are extremely easy to grow! 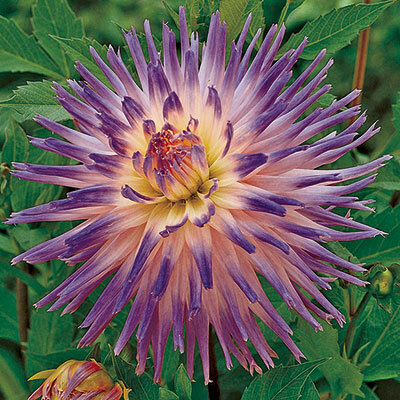 The first thing you need to know about Dahlias in Zone 7 is that they are not hardy here. If you want to grow them, then they will be grown as annuals if left in the ground. If you’re ok with that, keep reading. It’s best to plant Dahlias once all danger of cold wet weather is out of the way. Wet weather is ok, just not cold and wet. This means planting in May for zone 7. If you’re like me, however, you don’t want to grow them as annuals because you want to grow them again the following year. For that, you must dig them out of the ground after the first frost or two. Basically, when the plant looks like cooked cabbage is a good time. If you know nothing else about Dahlias, know that the tubers rot extremely easy. In fact, they can rot in mid summer heat if you have them in a spot that remains moist. So rule number 1 is, don’t plant in soggy soil! I repeat, don’t plant in soggy soil! You may get a stem and even a flower or two but your tuber will rot even in the summer. Now that you know where not to plant, do plant in a fairly rich soil in full to half sun for best blooms. Planting in May will yield flowers around July or so. They will continue to flower up until the first frost. You may be thinking what if you leave them out to overwinter under a nice layer of mulch. To that I say, don’t even bother. They will rot for sure! The tubers do not like to be under constant moisture doubly so in the winter. So, if you want to regrow the following year and believe me, you will, then you must dig them up for safe keeping. Now that you have your Dahlias all dug up, next comes storage. Before you store them, however, you need to let them dry for a period of time, perhaps 2 weeks. After that, put them in a container with some sort of drying compound like saw dust or peat moss to protect from rot. Store in a cool dry place to be ready for the following spring planting. So there you have it, now you have no excuse to not grow these beautiful flowers!